An Aesthetic Doctor has won the Mr. Gay Thailand competition. As the Mr. 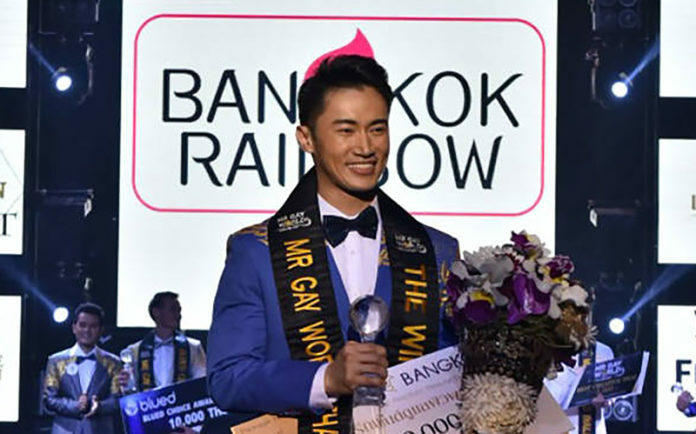 Gay World competition starts to make an impact in the Asia and Oceania region, Thailand is one of many countries that will be represented at the final in Madrid this year. Pattanajuk Vipadakul won the high-quality competition in front of a huge crowd at the Celebrity Club in Bangkok in late November. The 30-year-old, from the North Eastern Regional city of Udon Thani, defeated a group of ten contestants that included four doctors, two successful businessmen in Bangkok and three professional health and fitness practitioners and one professional model. 1st Runner was Nuttapong Sabsarn, (Doctor) and 2ndRunner-upp is Anuwat Srikern (Gym trainer). Officials of the competition were enthusiastic about the high standard. Director of Mr. 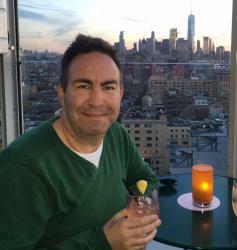 Gay World from Asia, Africa, and Oceania Igor Scheurkogel said they were very enthusiastic about the high standard of entries. “All of the contestants are real role-models for the youth of Thailand and society in general,” explained Mr. Scheurkogel. Pattanajuk Vipadakul will join all other country representatives at the Mr. Gay World Final to be held in Spain in May.